In this large scale overview , ending in December 2014 of Sigmar Polke’s work I found a powerful inspiration. For me as an artist it is in Polke’s wit, subversive attitude to the pieties of the fine art sensibility, and his willingness to experiment, that is so moving and inspiring to my own art practice. He had such energy that he could drag the whole world in – a whole half of a canvas covered with the German tabloid newspaper BILD front pages. His mocking of the sanctimonious side of Abstract Expressionism. Some of the large canvases seem to be an experiment in motion – just ended without seeking perfection, or complete balance. He was in his art practice so process orientated. I find here in the Tate’s perfect white rooms, that there was something powerfully liberating about this show of Polke’s work. The joker and the trickster was here on display but also someone who could make such sinister unsettling works as The Watchtower. 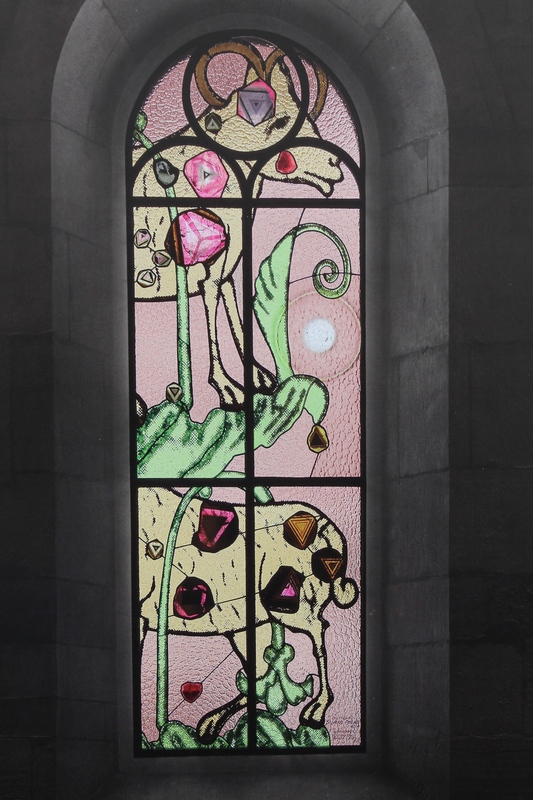 Last summer I was able to visit Zurich and look at Polke’s stained glass windows in the Gross Munster Church. I was particularly moved by the great tenderness and feeling in the palette and composition of The Scapegoat . I read that Polke had trained as a glass painter in Dusseldorf before he went to art school. Up the road from the church there is Zurich’s Kunsthaus which has two large paintings in a much less personal style than his stained glass windows. It seemed paradoxical to me that his tenderest work, not at all that of an infant terrible, should be found in a Church. 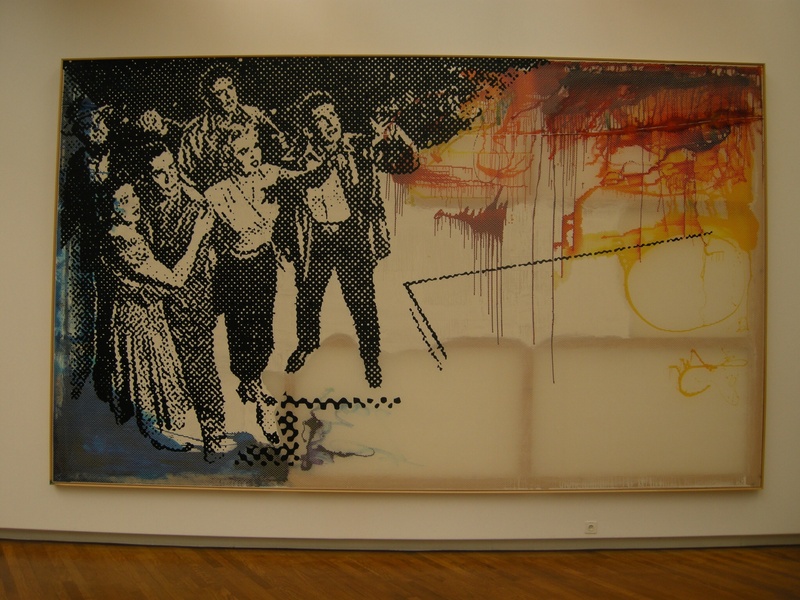 But seeing this other side of Sigmar Polke’s work also underlined for me just how broad his vision was. And that is what I think he has left me with – a sense that all the world, all its feelings, wounds, tribulations, traumas and excesses, were all part of being human and could all find a place in art.